French Polynesia (Polynésie française) is halfway between California and Australia in the South Pacific Ocean. Its is overseas country (pays d'outre-mer), governed by France, which administers education, justice, defense, and internal security, while a local parliament takes care of other day-to-day affairs. Tahiti and its islands cover 4 million km² of ocean, which is the same area as the European Union. However the land above sea level accounts for some 7,000 km² consisting of 118 islands, grouped into 5 archipelagos (4 volcanic, 1 coral). Makatea in French Polynesia is one of the three great phosphate rock islands in the Pacific Ocean - the others are Banaba (Ocean Island) in Kiribati and Nauru. Tropical, but moderate. Natural hazards: occasional cyclonic storms in January. Very humid. The average ambient temperature is 27°C (80°F) and the waters of the lagoons average 26°C (79°F) in the winter and 29°C (84°F) in the summer. But most resorts and hotel rooms are air-conditioned or cooled by ceiling fans. Summer is from November through April, with a warmer and more humid climate and winter is from May through October, when the climate is slightly cooler and drier. When you step out of the aircraft, you'll immediately notice that the air is warm and humid. Mixture of rugged high islands and low islands with reefs. Seashore paths bordering remote creeks overshadowed by cliffs. Since Polynesia was one of the last places on earth to be settled by humans, the Polynesians had only inhabited these islands for less than a thousand years before their "discovery" by western explorers. Several marae (religious sites) still exist, scattered throughout the islands as evidence of this inhabitation. The British discovered Tahiti in the mid 1760s and Captain Cook visited there in 1769 to observe the Transit of Venus before sailing on to the south and west in search of the fabled Terra Australus Incognita with the assistance of a Polynesian navigator. During the 1960s and 1970s, the French conducted atmospheric nuclear tests in the islands, primarily at Mururoa atoll. Testing later moved underground after international protests from other Pacific countries, including a flotilla of yachts and a warship from New Zealand to monitor tests in 1974. Testing continued into the early 1990s, despite attempts to disrupt them by environmental activists. In September 1995, France stirred up widespread protests by resuming nuclear testing on the Mururoa atoll after a three-year moratorium. The tests were suspended in January 1996. The islanders have been working towards autonomy and economic independence from France. However, the process is a gradual one and is expected to take a decade or two to occur. 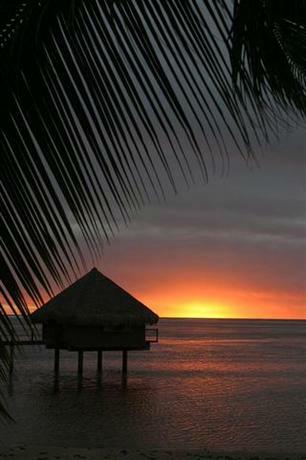 1 Papeete - capital, which is on the island of Tahiti. Nationals of the European Union, Andorra, Iceland, Liechtenstein, Monaco and Norway only need a valid passport for entry - in no case will they need a visa for a stay of any length. Unlike metropolitan France, Swiss nationals are only visa-exempt in French Polynesia for a stay of up to 90 days and do require a visa for a stay exceeding 90 days. Nationals of all other countries will need a valid passport for entry to French Polynesia and most will need a visa. Citizens of the following countries do not require a visa for a stay of up to 90 days: Albania (note 1), Antigua and Barbuda, Argentina, Australia, Bahamas, Barbados, Bolivia, Bosnia and Herzegovina (note 1), Brazil, Brunei, Canada, Chile, Costa Rica, Croatia, El Salvador, Guatemala, Honduras, Israel, Japan, Kiribati, Malaysia, Marshall Islands, Mauritius, Mexico, Micronesia, Montenegro (note 1), Nauru, New Zealand, Nicaragua, North Macedonia (note 1), Palau, Panama, Paraguay, Saint Kitts and Nevis, Samoa, San Marino, Serbia (notes 1 and 2), Seychelles, Singapore, Solomon Islands, South Korea, Switzerland, Taiwan (note 3), Tonga, Tuvalu, United States, Uruguay, Vatican City, Venezuela, as well as persons holding British National (Overseas), Hong Kong SAR or Macau SAR passports. In addition, holders of a valid residence permit issued by the Préfet of a French overseas département, the High Commissioner of a French territorial collectivity or a Schengen state and holders of a special card issued by the French Ministry of Foreign and European Affairs to the staff of diplomatic and consular missions can stay in French Polynesia visa-free for up to 90 days. Citizens of Albania1, Antigua and Barbuda, Argentina, Bahamas, Barbados, Bolivia, Bosnia and Herzegovina1, Brunei, Canada, Chile, Costa Rica, Croatia, El Salvador, Guatemala, Honduras, Israel, Kiribati, Malaysia, Marshall Islands, Mauritius, Micronesia, Montenegro1, Nauru, New Zealand, Nicaragua, North Macedonia, Palau, Panama, Paraguay, Saint Kitts and Nevis, Samoa, San Marino, Serbia1,2, Seychelles, Solomon Islands, Switzerland, Taiwan3, Tonga, Tuvalu, Uruguay, Vatican City, and British Nationals (Overseas), are permitted to work in French Polynesia without the need to obtain a visa or any further authorisation for the period of their 90 day visa-free stay. Holders of a valid residence permit issued by the Préfet of a French overseas département, the High Commissioner of a French territorial collectivity or a Schengen state and holders of a special card issued by the French Ministry of Foreign and European Affairs to the staff of diplomatic and consular missions are also permitted to work during their 90 day visa-free stay. If you are required to obtain a visa for French Polynesia, you can apply for one at a French embassy or consulate in your country of residence. A visa costs €9. For more information on entry requirements, visit this webpage of the French Ministry of Foreign Affairs. While British subjects with the right of abode in the United Kingdom and British Overseas Territories citizens connected to Gibraltar are considered "United Kingdom nationals for European Union purposes" and therefore eligible for unlimited access to French Polynesia. British Overseas Territories citizens without the right of abode in the United Kingdom, British subjects without the right of abode in the United Kingdom, and British Overseas citizens and British protected persons in general require visas. However, all British Overseas Territories citizens except those solely connected to the Cyprus Sovereign Base Areas are eligible for British citizenship and thereafter unlimited access to French Polynesia. 1 Nationals of Albania, Bosnia and Herzegovina, Montenegro, North Macedonia, and Serbia must have a biometric passport to enjoy visa-free travel. 2 Serbian nationals with passports issued by the Serbian Coordination Directorate (residents of Kosovo with Serbian passports) require a visa .<be> 3 Taiwan nationals must have their ID number stipulated in their passport to enjoy visa-free travel. French Polynesia has a very remote position in the South Pacific Ocean, so unless you are already there, flying is the main option. The flag carrier of French Polynesia is Air Tahiti Nui and the main airport is the Faa'a International Airport built on the lagoon, about 5 km west of Papeete near several major hotels such as the InterContinental hotel. Air Tahiti Nui flies internationally to Tokyo, Osaka, Los Angeles, New York, Auckland, Sydney and Paris. They cooperate with Air France, American Airlines, Japan Airlines, Air New Zealand, Vietnam Airlines, and Qantas. They no longer participate in either of the American Airlines Advantage or the Delta Air Lines frequent flyer program. Air New Zealand also has regular flights to Tahiti. LATAM flies twice a week from Easter Island, with connections on to Santiago de Chile. Passengers arriving on international flights must collect their baggage, go through customs and then recheck-in at the domestic flight counters some 50 m to the right of the International arrivals area. There are cruise ships on irregular schedules, and cargo ships on regular schedules travelling from Hawaii, New Zealand, Australia and Panamá. The islands are something of a hub for sailboats between South or Central America and Australasia, and it is not impossible to find passage for yourself on a yacht, but it is challenging. Air Tahiti offers domestic flights to other destinations in French Polynesia, and Air Moorea makes the short hop to Moorea several times daily. Charters flights such as Air Archipel are available on request. Helicopters are another option. Air Tahiti operates 11 turboprop aircraft (four ATR42-500 with 48 seats, five ATR72-500 with 66 seats, one Beechcraft with 8 seats and one Twin Otter with 19 seats). Most of the inter-islands flights in the Marquesas are operated with Twin Otters. Extensions to the Marguesas cost €459 with 20 kg baggage allowance, €636 with 50kg baggage allowance, and to the Austral Islands €262 with 20kg baggage allowance, €361 with 50 kg baggage allowance (rates of 2010). Passes start and usually end at Tahiti or Moorea. 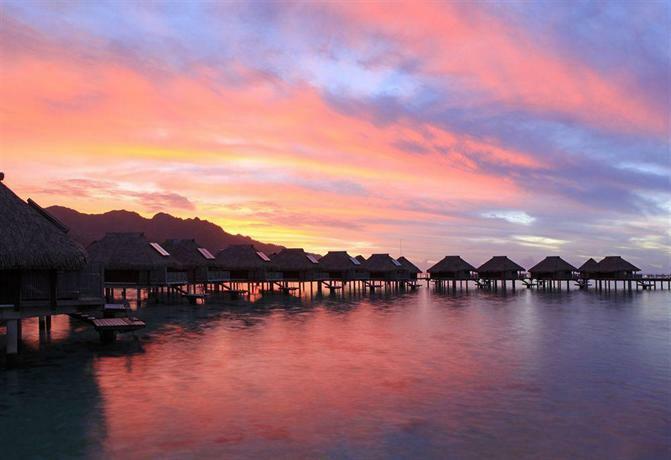 Tahiti-Moorea or Moorea-Tahiti can be flown on Air Moorea or Air Tahiti flights. The itinerary does not need to cover all the islands of the Pass. All flights must be reserved and confirmed. The full journey must not exceed 28 days. The islands of one archipelago must be visited before moving to the next archipelago (e.g. islands of the Society archipelago must be visited before those of the Tuamotu archipelago). The islands within an archipelago can be visited in any order. Stopover or transit in Tahiti within the Pass is not allowed, except for the Lagons Pass between Moorea and the islands of the Tuamotu Archipelago, for a Pass with Extension, between the Pass and the Extension, where a maximum of 24 hr transit in Tahiti is permitted. Only one stop per island (of more than 24 hr) is allowed. A transit (less than 24 hours) with a flight number change is considered as stopover. Exception: change of flight number with a transit of less than 2 hours in Rangiroa on Bora Bora to Tikehau, Manihi, Fakarava or vice-versa flights. Change of reservations is not permitted after the Pass has been issued. Air Passes are non-refundable after departure. Check-in at the airports begins 1 hour and closes 20min before departure time (except for flights to Rarotonga where check-in begins 2hr and closes 45min before departure time). Ferries (sometimes combined cargo and passenger boats like the Aranui) travel between most islands. Catamarans and ferry boats cross between Tahiti and Moorea several times a day. Schooners and cargo boats serve all the inhabited islands from Papeete. Rotations vary according to the destinations: from three times a week to the Society Islands to once monthly to the Island of Mangareva. Two cruise ships/luxury liners ply the islands: the Paul Gauguin, which does a regular 7-day trip around the Societies, with occasional trips out to the Tuamotus, Marquesas and Cook Islands; and the Tahitian Princess which does similar itineraries. A great way to see the islands, unless you're on a tight budget. The Bora Bora Cruises is a more intimate vessel based in the Leeward Islands. Or for more adventure, embark on the Aranui III. Coming up December 2007: the Star Clippers will have the capacity of 170 passengers. Yacht charter Polynesia Windward Islands, one of the worlds largest yacht charter companies, can take care of all charter requirements, from bareboat to luxury yacht in French Polynesia. Operating from different offices worldwide (UK, USA, Hong Kong, Dubai, Germany, Italy, France, Spain and Switzerland). The official languages are French and Tahitian with French being the language of business and government and Tahitian being the language of day-to-day discourse. English is also widely spoken particularly in tourist areas. Maita'i? = How are you? Manuaia = Cheers or Toast! Tahitians have a tendency to mix up French and Tahitian words in their conversation, so don't be surprised. Be aware of the many dialects of which Polynesians are proud: Tahitian, Tuamotuan, Marquesan and Mangarevan (in the Gambier Islands). The inhabitants of each place often cannot communicate between each other in their respective languages. Point Venus was the site of Captain Cook's observatory, built to record the transit of Venus across the face of the sun to try to calculate the distance between the sun and earth. Today it's a popular, shaded black-sand beach overlooked by an impressive lighthouse. The Gauguin Museum (Musée Gaugin), about 50 km from Papeete on Tahiti Nui, contains artefacts from Gauguin's time in Tahiti, including reproductions of many of his paintings. Open-air buildings and a gift shop are situated in a well-manicured lawn just next to the ocean, well away from the city and resorts. Botanical gardens are just next door. The Museum of Tahiti and her Islands, about 15 km from Papeete, contains really great displays of Polynesian history, culture and ethnology. Anyone who is interested in anthropology or the history of the Polynesian culture should see this museum. For pearl lovers, there is also the Robert Wan Pearl Museum in Tahiti. French Polynesia offers some spectacular diving and snorkeling. Divers can legitimately expect to see literally hundreds of fish and other marine species as they drift through the underwater canyons. There are diving centers on 11 of the 118 islands of French Polynesia. Moorea is known for sharks dives (reef sharks and lemon sharks here). 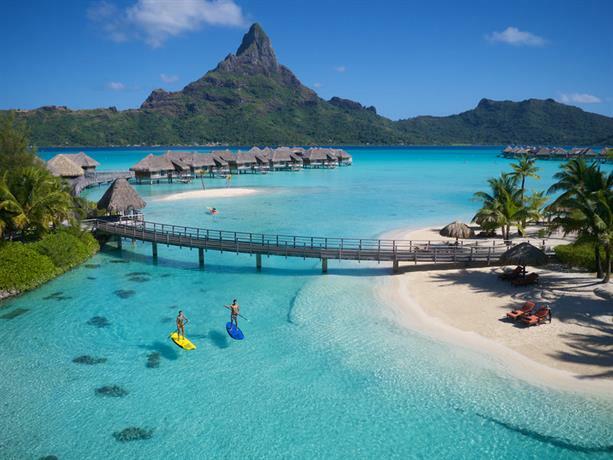 Bora Bora has a breathtaking lagoon featuring manta rays and sharks on a coral wall. The CFP franc (called the franc locally, ISO 4217 currency code XPF) is the currency used in French Polynesia, and also in the other Pacific territories of New Caledonia and Wallis and Futuna. It is most commonly denoted by F, and also by CFP, xfp and fcp. It is pegged to the euro at a fixed rate of 119.33 F.
Bank notes, international credit cards and traveller's cheques are accepted. The international banks with foreign exchange offices on Tahiti and the most frequently visited islands are the Bank of Tahiti, the Bank of Polynesia and Socredo. Banks will charge a commission fee for each exchange of, for example, 1,010 F. The exchange office at Papeete Fa'a'a airport charges only 700 F (Feb 2019), but the spread between its buy and sell rates is much wider than that of the banks. The euro is exchanged in banks and exchy bureaux at 119.33 F for €1 (buy or sell), so your only cost is the commission fee. International hotels also provide currency exchange. Some atolls and islands in the Austral and Gambier group have no banking facilities. Many businesses that deal with tourists, such as taxi drivers and souvenir vendors, will accept US dollars at a rate of 100 F to US$1 (Jan 2019). Everything is very expensive in French Polynesia. Even budget accommodation is tough on the budget, as is food, even groceries. So if you visit, take lots of money, you will need it. Black pearls are the high-end purchase in this part of the world. They are beautiful, and of varied quality, so buyer beware, and the sky's the limit. There are lots of inexpensive mother-of-pearl jewellery that make very nice gifts. Created only by the giant black-lipped oyster Pinctada margaritifera which thrives in the lagoons of the Tuamotu Archipelago, the rare Polynesian black pearl varies in colour from silver through dark grey with green and pink highlights. This Tahitian jewel makes an exquisite and unique souvenir. For visitors who wish to discover the secrets of Tahitian pearls, a visit to one of the pearl farms on the island of Tahaa or on one of the low islands in the Tuamotu is an experience not to be missed. Fine food in Tahiti and nearby islands is typically a natural style of cooking based on fresh products exotically blended. There is a presence of European cuisine within a tropical setting. Asian cooking has also added its own tastes and textures. Fish of all kinds, whether tuna, bonito, mahimahi or the many varieties of lagoon fish are prepared in many different ways: roasted, boiled and raw. The larger hotels organize big buffet evenings that offer a vast panorama of local culinary delights accompanied by traditional dance performances. Tourist-oriented restaurants will typically be quite expensive (hamburgers and pizzas from 1400 F, other mains starting at 2000 F), but you can also eat well at snacks (small restaurants) and roulottes (food trucks), where the locals eat. These will serve hamburgers for 700-800 F, steaks or chow mein for 1000 F, grilled mahi-mahi or tuna and poisson cru for 1200-1400 F (Jan 2019). Tipping is not a custom in Tahiti or the nearby islands. Bottles of water are readily available. Being a French territory, wine is common and easy to find. As this is a tropical island, a multitude of fruit juices from pineapple juice to coconut milk are to be found everywhere. Pineapple juice from Moorea is not to be missed! It is sometimes better to crack open your own coconut yourself and drain it for lunch. Orange juice is the states favorite drink and oranges are grown all along the coastlines. If you're a fan of beer, the Hinano Beer will definitely be one you will like to taste and bring a few cans home. 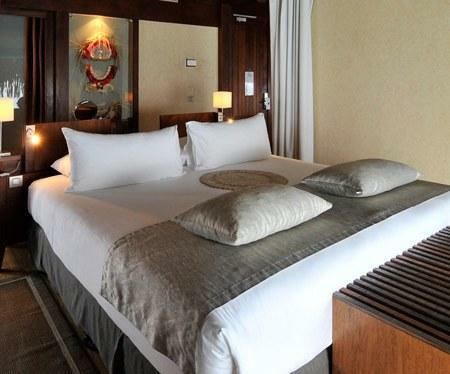 Around 50 international class hotels can be found on 12 islands covering three different archipelagoes - Society, Tuamotu and Marquesas. Although the islands of Tahiti, Moorea and Bora Bora provide over 80% of hotel capacity, the lesser known islands are also opening top-of-the-range establishments. Several international groups are established: InterContinental, Sofitel, Novotel, Meridien, Starwood-Sheraton, Orient Express, Club Med and Radisson. Two local chains, Maitai and South Pacific Management, complete the hotel scene. 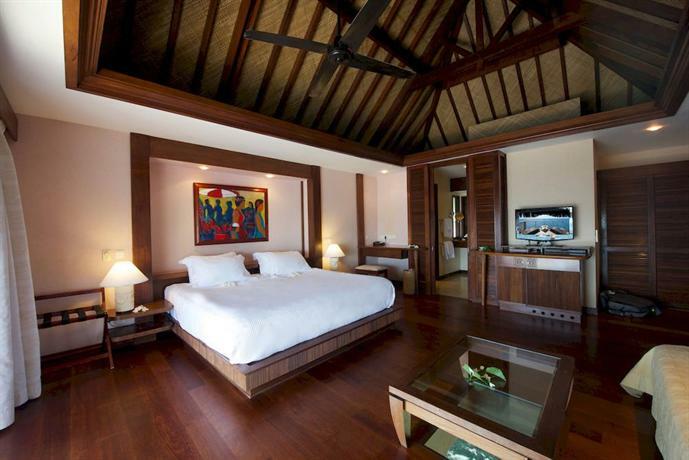 Although complying with international standards, Polynesian style has been respected in the overwater bungalows with the use of pandanus, bamboo and shell light fixtures. 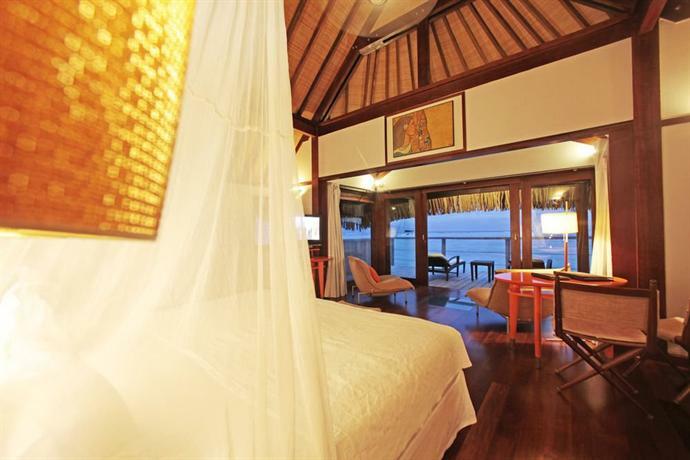 Some bungalows are fitted with glass-bottomed tables for watching the fishes without ever getting your feet wet. For travellers who prefer the simplicity and authenticity of the local experience, family hotels are the ideal type of accommodation. The welcome is warm and friendly. Family hotels are divided into four categories: Bed and Breakfast, Holiday Family Homes, Family-run guest houses, Family hotels. Encounters with sharks in the lagoon will be most likely when scuba diving or even snorkelling but they are harmless. So are stingrays. However, be aware of moray eels which hide deep in the corals and are generally curious. Be sure to keep your fingers to yourself or risk a painful bite. Take precautions against mosquito bites, as there have been outbreaks of dengue, chikungunya and Zika virus in the 2010s. Tap water may or may not be drinkable depending on where you are in the territory. Bottled water is the safest option. Tahitians are proud of their islands and happy to share their way of life with their guests in many ways. They are really relaxed, welcoming, and warm people who live according to the aita pea pea philosophy (meaning "no worries"). Please also respect the land and its diversity. Activities which include approaching whales and other marine mammals are regulated and authorizations from the environmental authorities are mandatory. Internet access in Polynesia is provided by MANA, a subsidiary of the Post and Telecommunications Office, either by modem or by ADSL. For a short stay, a subscription-free connection is best. You can make the connection with the following information: Telephone # of the server: 36-88-88 - Log-in: anonymous - Password: anonymous. This type of modem connection is available in all archipelagos. There are cyber-spaces on Tahiti, Moorea, Huahine, Bora Bora, Raiatea and Rangiroa (about 250 F for a 15-minute connection.) 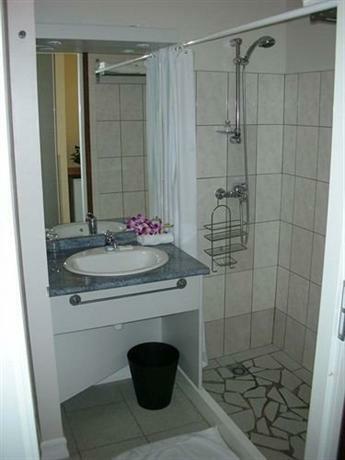 Most of the hotels and some small hotels and pensions provide Internet access to their guests. On some islands, access is possible from post offices. Iaoranet also provides Wi-Fi in the Society Islands (Tahiti, Moorea, Huahine, Bora Bora, Raiatea) as well as some of the Tuamotus (Fakarava, Manihi, Rangiroa), Gambiers (Mangareva), and Marquesas (Nuku Hiva and Hiva Oa). One hour costs about US$5, but blocks of time can be purchased online for as little as US$2 per hour. The service is slow but fairly reliable. Mobile service is provided by Vodaphone and Vini. Vini sells a 6000 F Travel Card that provides 30 min of calls and 2 GB of data, or a 2050 F card that had no minutes and 500 MB of data, each valid for 28 days (Jan 2019). You can hop on a direct flight to marvelous Easter Island from Tahiti (the only place in the world apart from Santiago de Chile where you can do this). French Polynesia is one of the few places within practical sailing distance of the Pitcairn Islands. Petty crime such as pickpocketing and purse snatching occurs. Ensure that personal belongings, passports and other travel documents are secure at all times. Roads are narrow. Many secondary roads are not paved. Drivers and pedestrians should exercise caution, particularly after dark. For the latest Travel Health Notices and information on vaccinations, outbreaks and diseases, consult the website of the Public Health Agency of Canada. The Agency strongly recommends that you consult with a travel medicine clinic or health care provider preferably six weeks before departure. 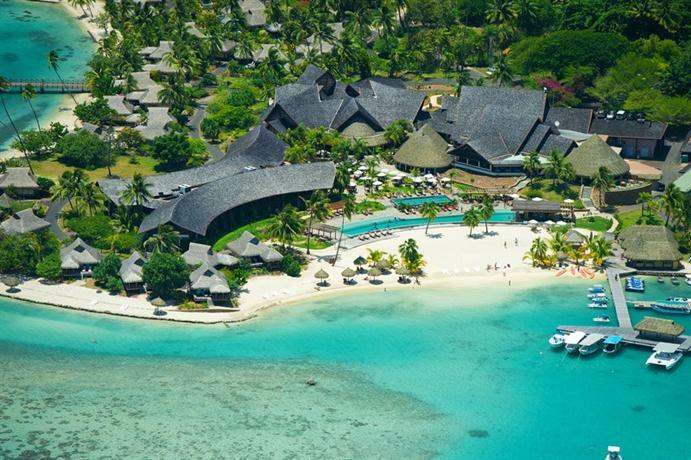 The Agency publishes travel health advice for French Polynesia. Medical facilities are good on the major islands, but limited in remote or less-populated areas. Serious medical cases must be evacuated to Tahiti. You are subject to local laws. Consult our Arrest and Detention FAQ for more information. Although France recognizes dual nationality, dual nationals are considered French citizens and are subject to French laws. The currency is the Comptoirs français du Pacifique franc or CFP franc (XPF). Traveller’s cheques and currency can be exchanged at the airport and at major banks. Most credit cards are widely accepted. There are a few automated banking machines (ABMs). French Polynesia is located in an active seismic zone. The cyclone season extends from November to April. Typhoons can also occur. Monitor regional weather forecasts and plan accordingly.